FashionTV is an international fashion and lifestyle broadcasting television channel. Founded in France in 1997 by its Polish-born president Michel Adam Lisowski, FashionTV is a widely distributed satellite channels in the world with 31 satellite and 2,000 cable systems. It has 500 million viewers around the world, including 80 million in Arab countries. FashionTV is a multi-media platform offering a review of global fashion and is independently owned and operated from the headquarters in Paris, London and Vienna. The channel is broadcast from Israel. FashionTV has another second channel in its FashionTV family called F MEN, formerly a 30-minute block of FashionTV itself. Segments feature international Fashion Weeks, Swimwear, underwear, Designers, First Faces and Backstage Passes. The F MEN channel is available via satellite in Europe and North Africa on HOT BIRD 3 (now HOT BIRD 8) as well as in Asia. In Asian it was seen via satellite on AsiaSat 3, followed two years later by THAICOM 3 (But now THAICOM 5) and it was moved and better signal and satellite to PanAmSat PAS 8 (Now Intelsat 8) (There are two frequencies in one satellite in PAS 8 before, but only one frequency remaining. However the second frequency left on January 1, 2008.). Presently F MEN is previously available in Asia, Australia, Pacific Region, and America after the successful launching in Europe. Also the channel was seen in India and Russia via satellite ABS 1 (Currently returning this satellite before then left again the signal). In Asia F MEN is previously available in Hong Kong in Cable TV Hong Kong. F.Diamond Club members may also watch a broadband Internet version of the live F Men programs for a small monthly fee. And other satellite feed are: Eutelsat W5, Eutelsat W2 and Intelsat 805 are both free to air signals before but immediately scrapped. 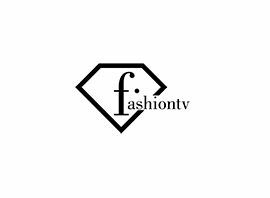 FashionTV relaunched its official website in 2005, broadcasting FashionTV and F.MEN live, thematic channels and a Video on Demand service to its F.Diamond Club (f.Club) members for a monthly fee.